I looooooove flowers! I love flowers so much that I didn't have flowers for our Boracay wedding except for the bouquets--sounds contradicting, right? That's because my reasoning at that time was that I couldn't bare the thought of flowers being thrown away, wilting after the wedding. To me, it was like burning cash. That's why when I learned of Jacqs Floral Design Studio's new concept which Jacq calls her "signature centerpieces", I was totally impressed by it. 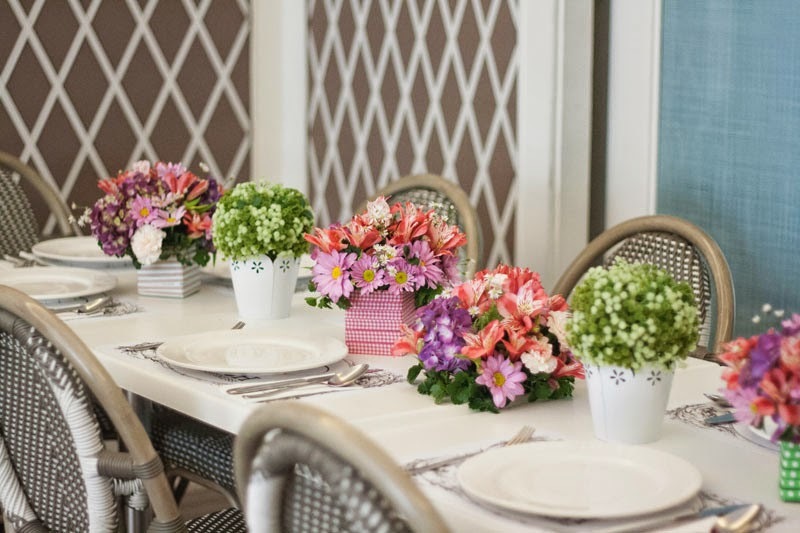 Jacq says that she conceptualized her arrangements to be "pretty and practical". "Guests can take these home as souvenirs after the event. Wraps can be customizable depending on the theme or color scheme. We usually use ribbons, laces, burlap or leaves to wrap the base." 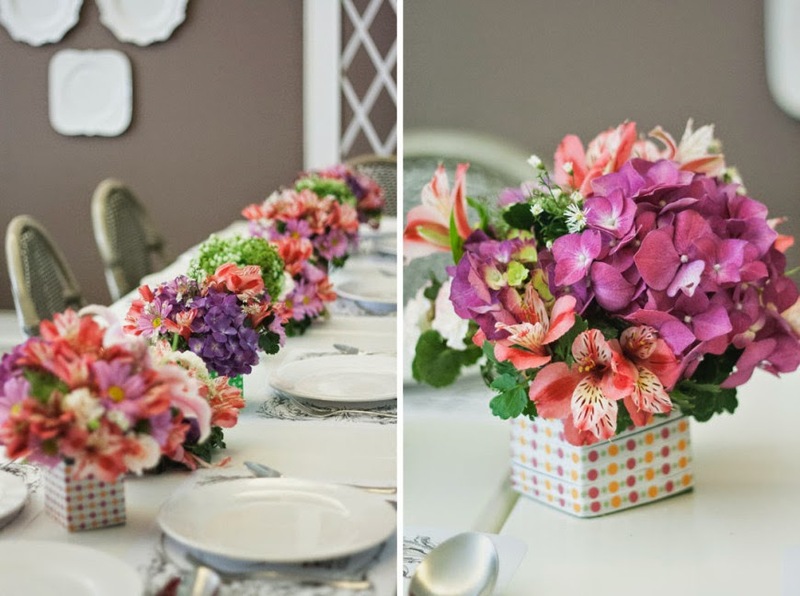 It has long been a "joke" to think of guests taking home flowers or decors from the wedding. But why not? The entire world after all, is moving towards a more sustainable, zero-waste, more conscious, eco-friendly lifestyle. And that's why I love that Jacq is celebrating it, and making it into a highlight as part of their service. After finding out about these centerpieces, I was excited because I actually had a work-related event that was perfect for these centerpieces! Jacq is my go-to florist so working with her on these centerpieces was a breeze. Knowing that the centerpieces were designed to be taken home, I even brought some eco bags with me. The centerpieces were a HIT! Guests asked if they could indeed take some home, some of my office mates took some home as well. I got to take home A LOT. Haha. And I do intend to bring most of it to the temple as an offering. Each centerpiece had a unique personality of its own. 1. Ask your coordinator to collect all remaining flowers for you. 2. Bring the flowers with you as home decors. 3. Once they seem to be wilting away, DON'T THROW THEM. 4. Flowers make for great compost. 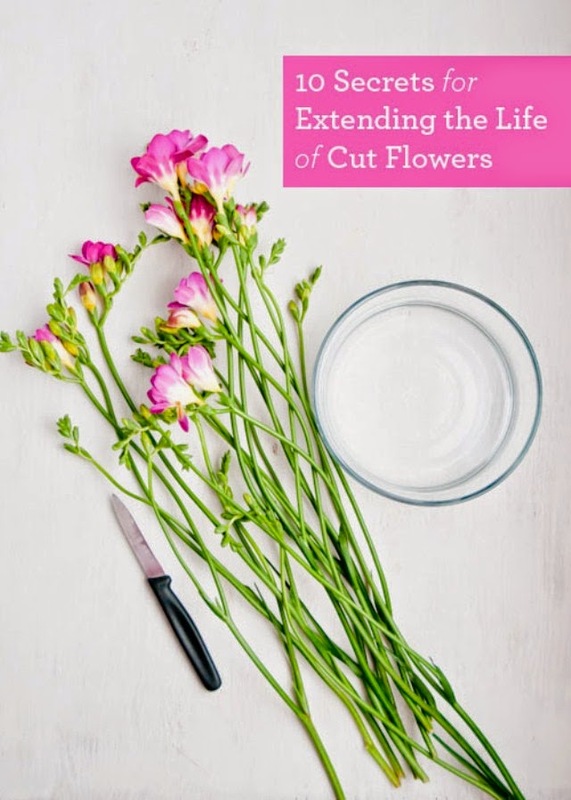 Give the flowers back to Mother Earth by "burying" it in your garden. 5. If you don't have a garden, donate the dead flowers to eco-friendly gardens. They would know what to do with it. Sounds like a lot of work? We all need to do our part. But here's one more rebellious idea: how about getting centerpieces with an equal ratio to your total number of guests. That way, the centerpieces serve as both your reception styling and your actual guest giveaways. 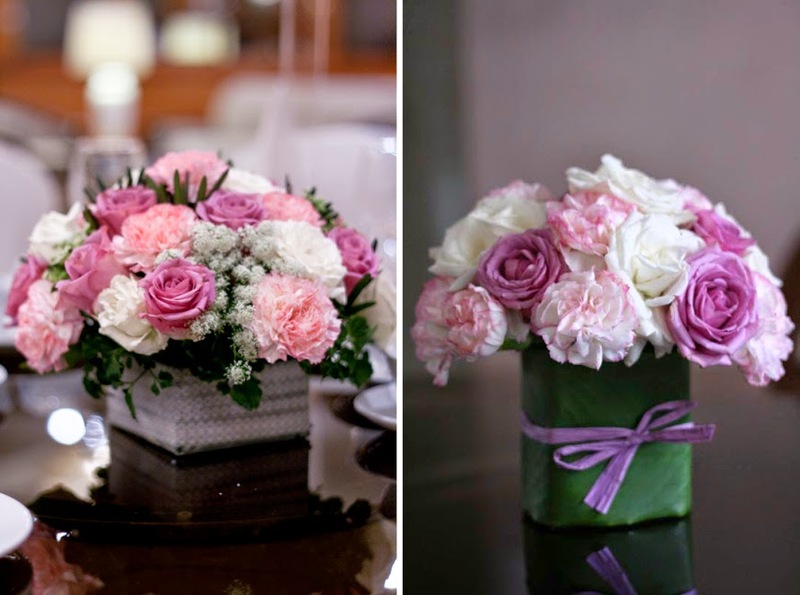 Then, have a "care guide" wrapped around the arrangement so that guests know how to take care of the flowers after. Not only will this help you consolidate some of your wedding expenses but it will also help guests learn how to take care of nature--what do you know, you might even inspire guests to have green thumbs after your wedding!